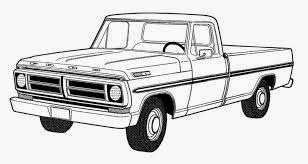 Do you have a pick-up truck and like to do good deeds? Help us help senior and disabled neighbors get rid of their "junk" at the neighborhood's annual Cleanup by showing up with your pickup to help load unwanted junk from their house to our event. We hope for 2-3 pickups and a driver and helper for each pick up, so please let us know if you can be part of such a team. We will screen calls and only send you out to pick up things that fit in a pick up bed from seniors and those with a disability. Thank you! What? You and a helper - you bring a friend or we provide you with a team member, go to specific addresses and pick up the things this person cannot physically lift, and transport to the Clean Up. Why ? We know we have neighbors who simply physically can't get rid of their old furniture and junk because it's too big or bulky to put in their cars. Let's help them clear their clutter.